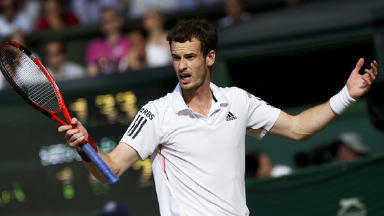 The Dunblane-born tennis ace will take to Centre Court at 2pm on Sunday. 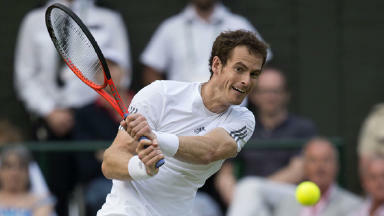 Scots are cheering on Andy Murray as he faces off against world number one Novak Djokovic for the Wimbledon men's singles title. The Dunblane-born tennis ace is on Centre Court hoping to become the first Briton to win the men's singles trophy since Fred Perry 77 years ago. Thousands of people descended on the famous All-England club, including Prime Minister David Cameron and First Minister Alex Salmond, as well as actor Bradley Cooper, footballer Wayne Rooney and Victoria Beckham. 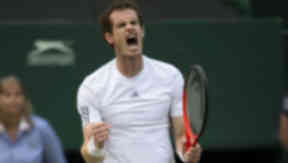 Hundreds of others watched Murray take on the Serb on big screens in the sunshine on Henman Hill and in Edinburgh's Festival Square. Millions more tuned in to follow the action on television. It is the third time in four Grand Slam tournaments that Murray and Djokovic have met in the final, with Murray triumphing in last year's US Open while the Serb took the honours in this year's Australian Open. Murray's tense semi-final tie with Poland's Jerzy Janowicz was the most-watched television moment of the year so far, according to the BBC, with a peak audience of 13.2m people tuning in. A pair of tickets have already changed hands for £15,000, ticket website Viagogo said, with one pair listed for a staggering £71,000. Murray's US Open win was his first Grand Slam title and is keen to repeat the success at Wimbledon after losing to Roger Federer in an emotional final last year. 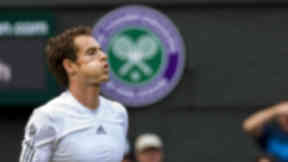 But he has admitted that victory would fail to trump his Olympic gold, claimed when he turned the tables on Federer just weeks after his Wimbledon defeat. "I don't know if I'll ever have the sort of feelings like I had that day," he has said. "Winning Olympic gold here, a home Olympics ... I'll never get the opportunity to do that again. It was probably one of the proudest moments of my career. I don't know if I'll ever top that." Murray will be supported by his usual close-knit circle, including his mother Judy Murray, girlfriend Kim Sears and coach Ivan Lendl. But for the first time his grandparents will miss the tournament after grandmother Shirley broke her hip just weeks ago. 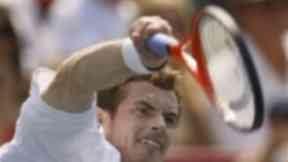 Judy Murray told the Daily Telegraph: "I know they are there willing them (Murray and brother Jamie) on in spirit. There's nothing like having family there for support and, like Andy, I wear my heart on my sleeve, so I'm there cheering loudly." 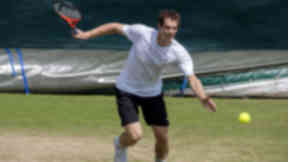 Fans will enjoy sky-high temperatures in SW19, with repeats of Saturday's sweltering weather. French player Marion Bartoli took the women's Wimbledon title as she defeated the crowd's favourite, Sabine Lisicki, on Centre Court.